Dollhouse Miniatures by Felma J.: Merry Christmas! November Winner! 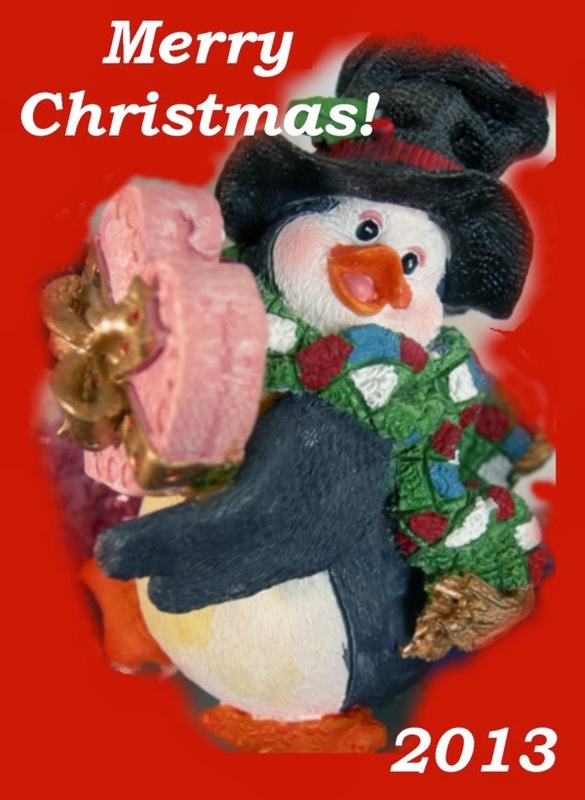 Blog Friends I wish you all a Merry Christmas and a Happy New Year. Thank you for your comments for the November draw! So many things have happened since I last posted until it seems as though I posted just yesterday. This Thanksgiving was one of the best I've ever had with family and friends and of course, food. Yum Yum! This sign helps to remind us what we are really celebrating. Drum Roll Please for our November Winner! "I am not sure what type of motivational comment is required, but I will say that I am inspired and in awe of your talent and your courage. Your work seems effortless! Yet, I know creating miniature outfits as meticulous as yours takes a lot of hard work. My motivational comment is, find something you love to do that is outside of work, outside of caring for loved ones, and outside of any duty or obligation. Whether it is creating miniatures, or collecting vintage dollhouses or painting or swimming, spend at least one hour a week doing it. One small hour will make a huge difference in the rest of your week." The comment written by Neen (please click on her name to view her interesting blog.) was a joy to read as all comments are. Congratulations Neen! November is the last giveaway of the year. Hope to start giveaways again in February. Please don't be alarmed, I am doing fine. Just keep checking back if you have time and leave a comment so that I know you care. Congratulations Neen! Thank you so much Felma for the lovely giveaway opportunity. I want to also wish you a blessed and Merry Christmas! Take care. Congratulations to the lucky winner Neen!! I wish your family and you, Felma: Merry Christmas and Happy New Year!! Congratulations to Neen! I wish you and yours a wonderful holiday season, a fantastically happy Christmas, and a healthy and joyful new year. Congrats to the very Lucky winner Neen! Happy Christmas & New year to you Felma! Congratulations to the lucky winner. Merry Christmas and happy 2014 to you and yours. Congratulations Neen! And thank you Felma for yet another great chance of winning a lovely dress! Thank you Felma, what a wonderful surprise! I am so impressed by you, and your blog. What an inspired idea it was to request comments that will help others, and it is lovely that your grandson is involved with your blog. I thank him for choosing my comment and I thank you again for this lovely gift! I wish you, your family, and all of your readers a loving, joyful holiday season! Hello Felma! I'm your new follower, creations are so wonderful, I really like your miniature dress. Te envío mis mejores deseos de felicidad y amor para ti y tu familia en estas fechas tan importantes. Felices Navidades para ti y toda tu familia. feliciidades a la ganadora :) FELICES FIESTAS!! Happy, healthy and peaceful New Year to you and your loved ones!